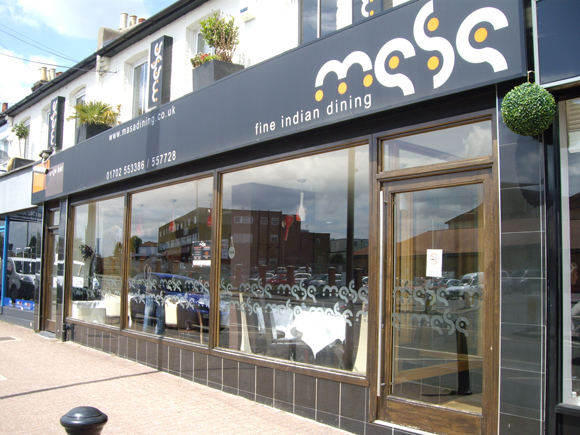 Masa Indian restaurant offers the finest fusion of traditional and contemporary Indian cuisine. All of their food is free from artificial ingredients and made using the finest in fresh produce. They also cater for corporate and private parties. An asset for Hadleigh. I have been to Masa 4-5 times over the past few months – each and every time being very, very pleasant. The food is very nice, well presented, the staff are always friendly and polite too. I have been to Masa with a group of friends, business entertainment and with my girlfriend also. Although it’s a little more expensive than other Indian restuarants it is worth it for the extra quality. Been to this restaurant twice in 2 months, it is beautiful, the food is different, I had sea bass and red snapper which is yummy. I highly recommend u try it.